In a move to help students choose realistic career goals and tackle parental pressure, the Centre is planning an aptitude test for class 11 and 12. The HRD ministry, sources said, is ready to set up a National Testing Service (NTS), a body that will conduct a test similar to Scholastic Aptitude Test (SAT) which would include questions on numerical, verbal and diagrammatic reasoning. Initially, the test will be conducted for class 11 and 12 students and later introduced for those in class 9 and 10, sources said. The move comes three months after Prime Minister Narendra Modi in his Teachers’ Day address to students in September said aptitude certificate would replace the character certificates in schools soon. On the lines of US-based Educational Testing Service (ETS), the largest educational testing and assessment organisation that conducts various tests like GRE and TOEFL in US and abroad, the government will set up the NTS that will develop and conduct the aptitude test for students from 2017-18 academic session. Sources in the ministry said a meeting comprising all stakeholders including various higher education institutions (IITs and NITs), regulatory bodies (CBSE and AICTE) and educationists is planned in January to chart out the way to set up NTS. 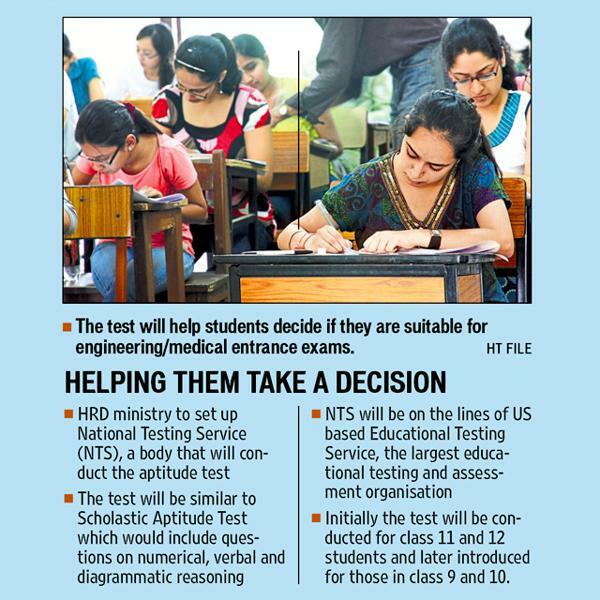 The move is based on the recommendations of the Ashok Mishra committee report that said SAT type test would help students determine whether they are suitable for engineering/medical examinations or not. “It is believed that the SAT examination is a very good measure of the aptitude of students that get into leading universities and institutes in USA. SAT is very well tried and tested system and has shown excellent correlation with the ability of students to succeed in college,” the committee in its recommendations had said. The committee was set up in October this year with a mandate to recommend ways to overhaul the IIT JEE examination system so as to reduce the pressure on students and also reduce their dependence on coaching centres. It was a good idea to conduct the test as not every child is meant to crack IIT JEE or medical entrance tests. In the current scenario parents force their child to take such examinations irrespective of his/her aptitude for it. 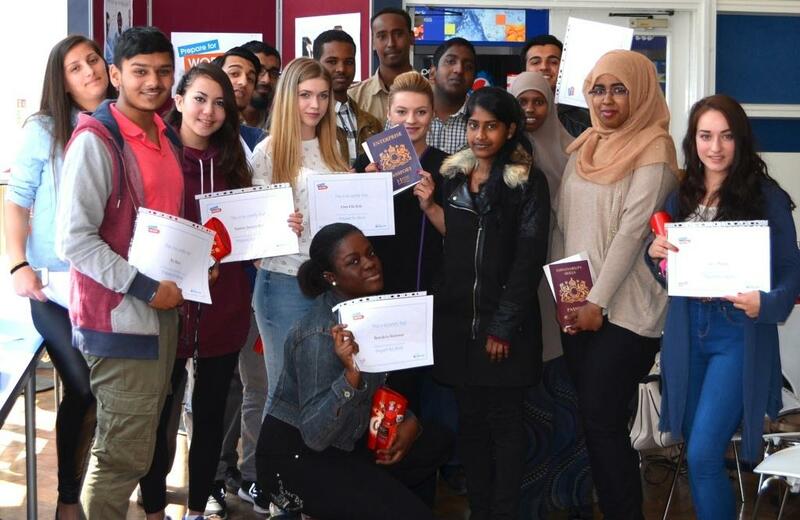 The aptitude test will help the students as well their parents make an informed decision.